Hello autumn – my favourite time of the year. The season of warm sweaters and oversized hoodies is finally here. A pleasant time indeed! But besides staying warm during daytime, we also need to keep ourselves comfortable and cozy while in bed. After all, the usual night time walks are bound to be replaced with staying in for some #NetflixAndChill. And unless you live in a tropical place, I’m certain you’re going to want the cosiness that only a duvet can provide. Snuggly and soft, quality duvets (or also known as quilts) are designed to keep you pleasantly warm during the cold autumn and winter nights, but not excessively hot. When you’re shopping for a new quilt, the choices can be a bit overwhelming. You need take a lot of factors into account, ranging from insulation, to breathability, durability, and of course, looks. To help you narrow down your choices, here are a few great tips. 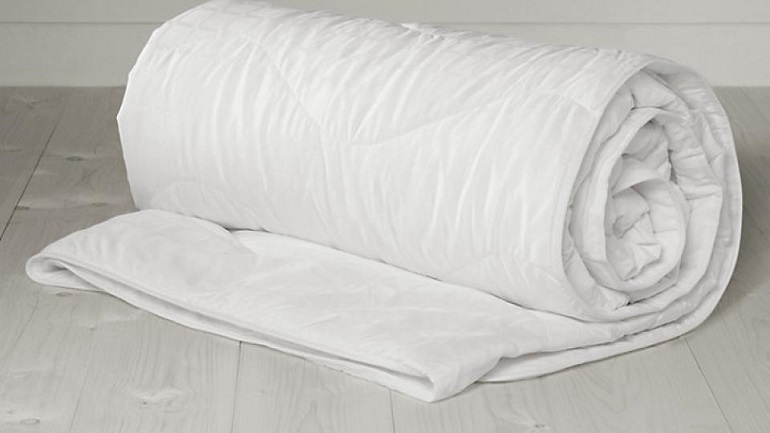 If you want something that can offer a considerable amount of warmth, but is still lightweight – it’s hard to beat down duvets. After all, geese manage to stay warm in chilly waters, and adding this insulating layer to your bed can do the same for you. And best of all, your down won’t weight you down! Meaning, you’ll stay toasty warm and sleep comfortably. If you’re sensitive to allergens, look for a duvet with sterilized down. Of course, the magnificent properties of down also come with a relatively high price tag. A more affordable choice would be a synthetic filling, but you can also find cotton or wool-filled quilts if you want a healthy and natural alternative. Besides being less expensive, natural fillings like cotton or wool also have the benefits of being hypo-allergenic. However, they tend to be heavier and less breathable than down. A quilt’s fill power is related to the insulating value of its filling. The higher the fill power, the more air the material will trap, and thus the duvet will have a greater insulating ability. Fill power can range from 300 to around 900 for the highest quality filling. Anything below 400 is suitable for summer use only. Quilts between 400 and 600 are great for any time of the year, but if you really need some extra warmth, I’d suggest to look for anything 600 and up. When sheets are concerned, a higher thread count usually means a softer feel. But with quilts, it’s a whole different thing. Many duvets feature an outer shell material called “ticking”, which is typically cotton. A ticking with a higher thread count can do a better job in ensuring the down or other filling stays neatly in the shell. Look for a thread count of at least 300 which can prevent the filling from getting displaced and ruining the evenness of your duvet.